Hello from USA! I am happy to be writing from my parents home. 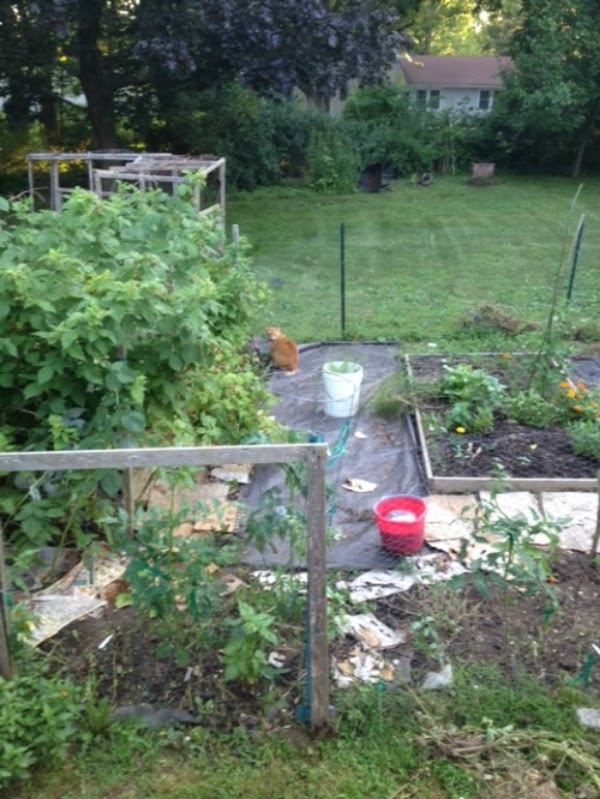 I have been weeding the lovely tomato-laden garden, interning with a dietitian, hanging out in NYC with lovely friends and family and cooking a lot! I've also been eating a lot of Indian food with my parents. They love dessert so I thought I'd give ras malai a shot -- cheese dumplings in a milky syrup. The dumplings are soft and spongy after cooking in sugar syrup and are then squeezed and drenched in cardamom-scented milk liquid. Through time the dumplings soak up the milk, which also contributes delicateness to an otherwise rich dessert. I use coconut sugar instead of refined sugar and that makes a big difference as it doesn't spike up your blood sugar -- so it's slightly healthier even though coconut sugar turns these traditionally white dumplings into off white dumplings! A handful of nuts add welcomed texture. My mom even likes crushing rose petals on top to jazz it up but that's up to you. If you've made paneer (Indian cheese) before, then this is just a few more steps! But if you'd like to learn how to make paneer, just follow the steps for cheese dumplings! This could be the perfect dessert to your next Indian feast, though I like it after any meal! 1. Make the cheese: Add milk to a heavy bottom pan and stir occasionally on high heat. Once the milk begins to boil, add the vinegar and stir constantly until the white milk separates and curds form and the liquid turns yellow-green -- this is whey and can be used to make bread or oatmeal. Pour all into a cheesecloth-lined colander (and line the colander with a pot if you want to save the whey). Tie the cheesecloth and hang to allow to cool slightly and drain for 30-60 minutes. If you want paneer, simply take this cheese and place it under a heavy weight for an hour until the water drains out and the cheese forms into a smooth mass. 2. Once drained, blend the cheese in a food processor until smooth, about 2-3 minutes. On a clean worktop, take one tablespoon worth of cheese and shape it into a round flat mound. Try to avoid cracks around the edges and create a tight mound. Continue with the rest. 3. Once the dumplings are formed, boil sugar and water in a wide pan -- about 2 minutes. Turn the heat to low and carefully add the dumplings and cover with a tight lid. Allow to cook for 10 minutes. 4. In another heavy bottom pan, heat milk, sugar, cardamom and saffron until it thickens a little -- about 15-20 minutes on medium-low heat, stirring occasionally. 5. Once the dumplings have cooked and doubled in size, after 10 minutes, carefully squeeze out the liquid from each dumpling and place in a wide dish. Add the cooked milk on top. Garnish with the nuts and chill in the fridge. Allow the dumplings to soak in the milk syrup for at least 6 hours for optimum flavor. Enjoy!